Bold brows are in! With PÜR's long-lasting brow powder, you don't need to be a makeup artist to get perfectly defined brows. This unique fiber formula adds naturally bold definition to sparse and uneven brows for a look that's always natural, never "drawn on". Use the innovative flocked applicator to groom and sculpt for the perfect arch or reach for your eyeliner brush for double duty use as a smoky eyeliner. Brush brow hair upward and outward with a brow groomer. 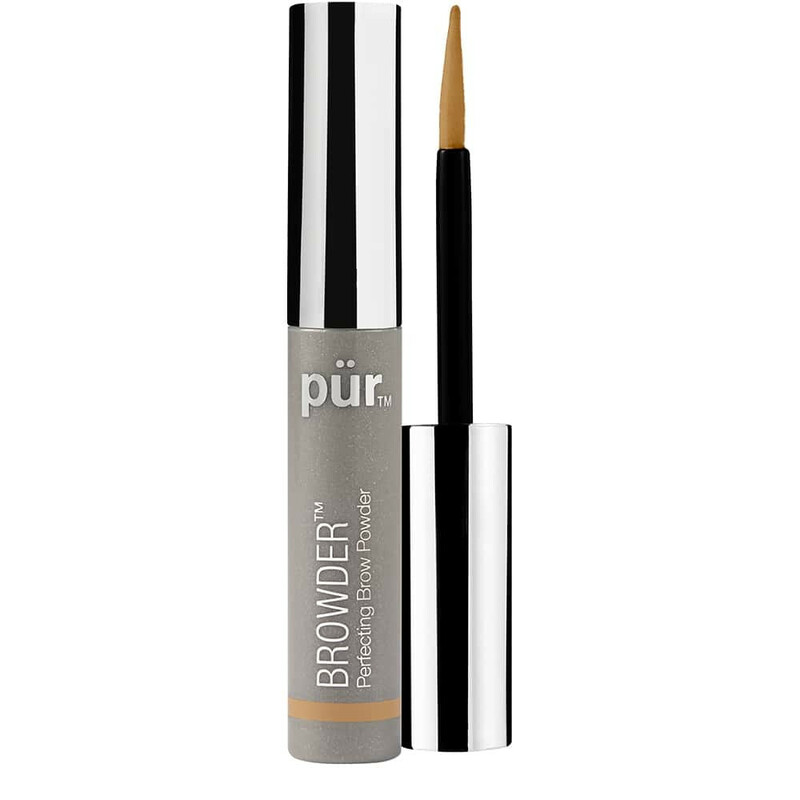 (Try Wake Up Brow) Apply Browder directly onto brows with the built-in precision applicator. With light, feathery upward strokes, fill in gaps to add natural fullness and shape to your brows. 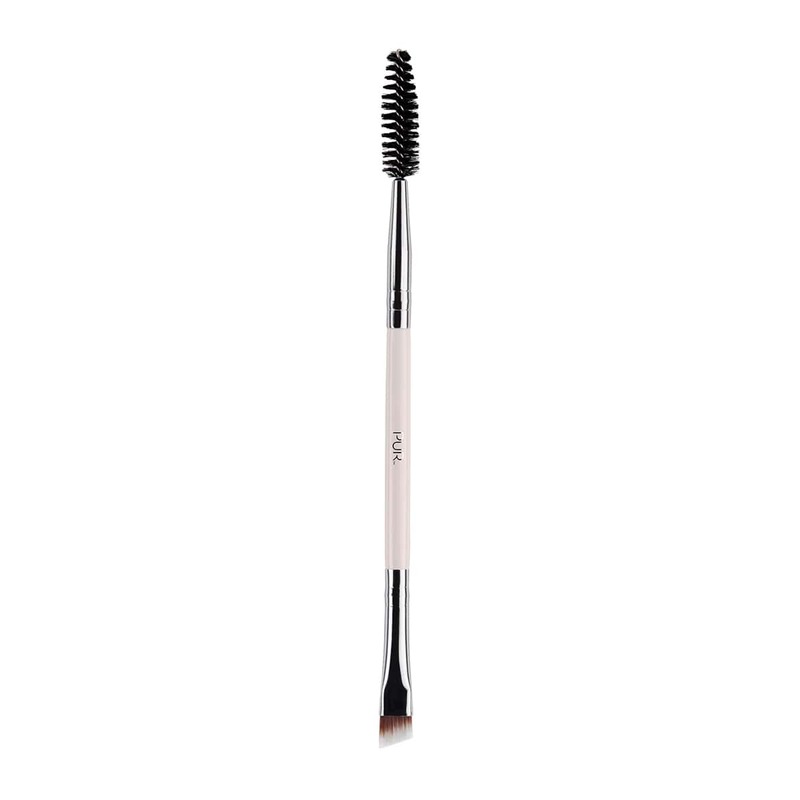 You may also apply Browder to the lash line with an eyeliner brush to create a soft, smoky eye. Using the eye shadow brush from PÜR’s Pro Tools 5-Piece Brush Collection, sweep shade Filter from the Love Your Selfie Best Sellers Collection all over the lid. Fill in brows with Browder. Highlight brows with Wake Up Brow. 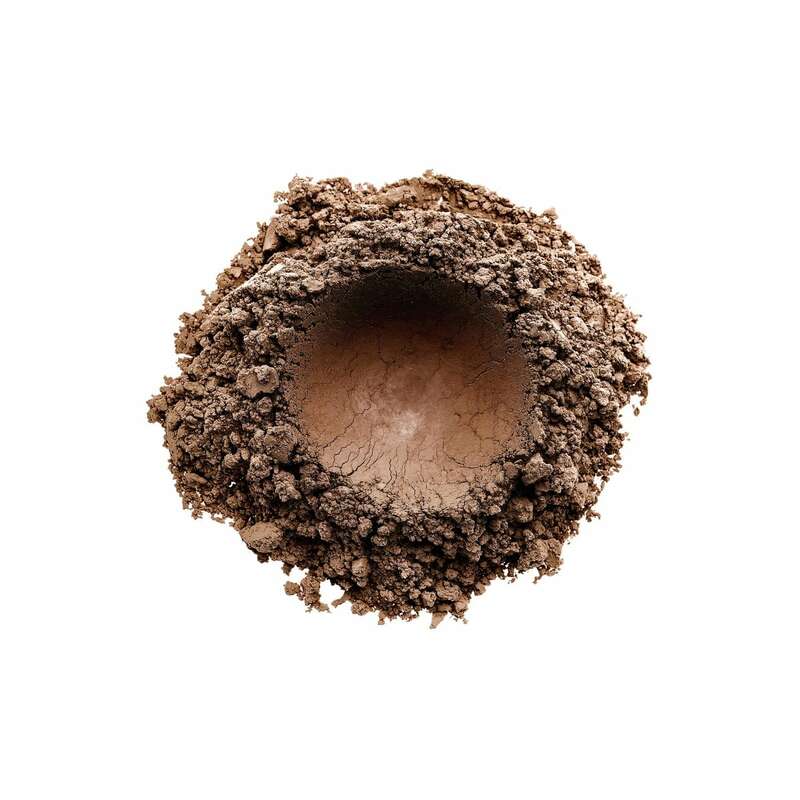 Using the eye shadow brush from PÜR’s Pro Tools 5-Piece Brush Collection, sweep Photobomb from the Love Your Selfie Best Sellers Collection all over the lid to the brow bone. Line eyes with Double Ego in Milan. Coat lashes with Big Look Mascara. Tap a little Afterglow into the corner of the eyes. MICA, POLYETHYLENE, BORON NITRIDE, TRIETHOXYCAPRYLYLSILANE, ISOHEXADECANE, BIS-VINYL DIMETHICONE/DIMETHICONE COPOLYMER, DIMETHICONE, SILICA, POLYETHYLENE TEREPHTHALATE, BARIUM SULFATE, IRON HYDROXIDE, HEXYLENE GLYCOL, CAPRYLYL GLYCOL, PHENOXYETHANOL MAY CONTAIN: TITANIUM DIOXIDE (CI 77891), IRON OXIDES (CI 77491, CI 77492, CI 77499), CARMINE (CI 75470), ULTRAMARINES (CI 77007), MANGANESE VIOLET (CI 77742), CHROMIUM HYDROXIDE GREEN (CI 77289), CHROMIUM OXIDE GREENS (CI 77288), FERRIC FERROCYANIDE (CI 77510), BRONZE POWDER (CI 77400), BISMUTH OXYCHLORIDE (CI 77163), ALUMINUM POWDER (CI 77000), YELLOW 5 LAKE (CI 19140), RED 40 LAKE (CI 16035), BLUE 1 LAKE (CI 42090), CONTAINS CARMINE AS A COLOR ADDITIVE. The color (blond) is perfect for my dark blond brows, and looks great when I'm able to get it applied juuuust so. But the application is hit-or-miss due to the applicator design (a bendy little stick-thing) which makes it quite difficult to apply evenly. Color good, but way too much fall out even after banging on side of sink. Wont use it. Waste of $$. There is a lot of fallout with this product but I like the wand and how the powder applies and stays! I have very blond non existent looking eyebrows. This is the perfect color and its easy to use. Messy powder, definitely not for me. Can't do my eyebrows with this no matter how much I've tried. 😳 powder ends up everywhere, not sure how it's supposed to stay put? Definitely not for me! I really liked how easy it was to work with! Love this product! Goes on easily, stays in place, and provides a nice, natural fill in. I like the color it blends in really well with my brown eye brows. I am going to try it on my upper lid to get a smokey eye look. I have used this for years; the only thing I change is I use a small, slanted brush to apply. I love how it blends without looking fake. Some have mentioned that the powder can end up on your face but to prevent this I pull up the applicator without completely pulling it out and I flick the top of the container to shake off excess. Works great! Love the browder. I golf and perspire a lot and its the only one that is still there after 18 holes! Bought my first at Shoppers Drug Mart and when I went to get my second it had been discontinued. Only problem with on line was the $9.95 shipping AND the $20 customs to ship to Canada....but a GREAT product! Love the browder!! I use it every day!! Goes on easy and lasts all day!! 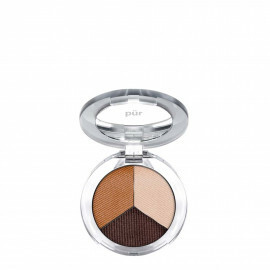 As much as I've loved all of Pur's products, I did not like the brow powder at all. It was too "powdery" on the eyebrow. 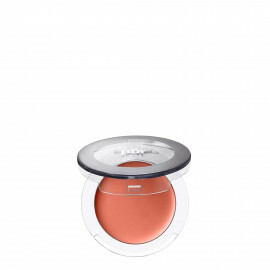 Love this product because it is the perfect color and consistency. Doesn't leave my brows looking over done. My eyebrows have been thinning for years and, fairly recently it seems, they've become even thinner. I thought I'd give this Browder a try. I'm very happy with the outcome! It's easy to use and the color blends in perfectly. I highly recommend it. This is hard to use and ends up going on way too heavy. Nice shade though. This is great for blending and evening out my eyebrows, which are all over the place in terms of color. I use the blonde and it matches my light brown hair perfectly. Love it. I am a blonde. Without it I look like I don't have brows with it my eyes pop!! I really love this stuff. It was recommended to me at Ulta, and I am now religious about this product. The coverage is full but natural. Fallout is definitely an issue, but if you're careful and do your brows first, it's magic. I don't wear facial make up but do wear mascara. As my brows are graying, this is the best thing I've tried to fill in. Easy to get just enough not to look painted on! Easy to use but beware of fallout. Very simple brow shaping and full coverage/ fill in for the brows. I'm used to doing my face before eyes and brows but you must be very careful if you do. Love the product but the fall out will have me doing brows first. This product is great IF you use it properly. The trick is you have to really wipe the brush off as you are removing it from the tube AND then tap off the excess. If you don't you will have fall out all over your face. If you use this technique it looks amazing on your brows! I got this in the Mystery Beauty Bag. I've never had great results with brow powders before so I didn't have high hopes. I was sold after the first use. The color is perfect for me (Blonde) and when I fill them in it makes me brows look so natural. Definitely buying again.